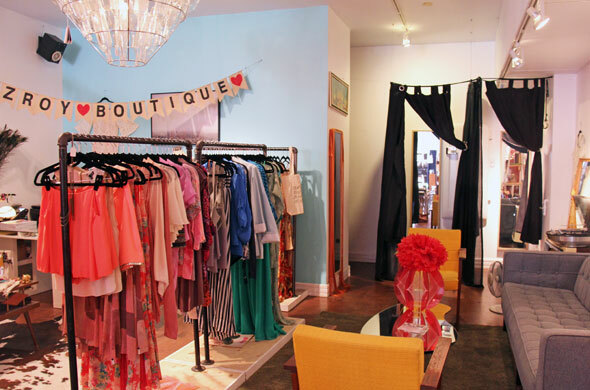 Fitzroy Boutique is a bit hard to notice from a street-side perspective, but those who pass by BYOB will notice that half of the window space has been taken over by an array of colourful, hard-to-find clothing brands. 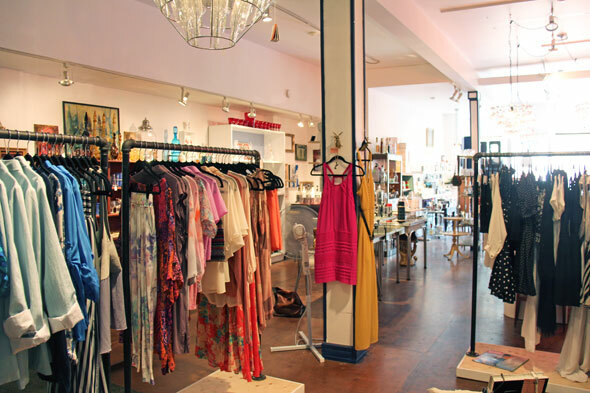 The modest shop is squirreled away in the back of BYOB, and consists of several rolling racks tightly packed with clothes, two fitting rooms, and a luxurious lounge area where many a weary boyfriend has turned to texting. The brand was started by Angela Pastor (who formerly worked in the education and media industries) and Julie Buzkowski (previously in fashion PR) last September with a pop-up in Yorkville , meant to coincide with the Toronto International Film Festival. Then followed pop-up in BYOB around Christmastime and this past March, at which point they'd developed enough of a fan base to take the risky leap into full-fledged business ownership--and it's going great. 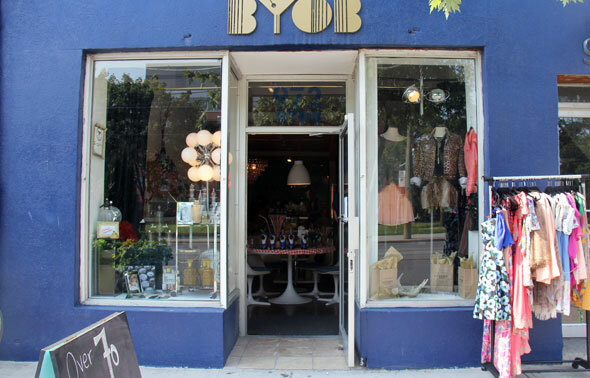 Aside from return customers and word-of-mouth, they're also helped by walk-by traffic, and the interest-piquing combination of booze accessories and clothing. It's a "come for the bitter, stay for the clothes" economy. The name comes from a particularly young and vibrant area of Melbourne--which Pastor likens to West Queen West --and reflects their considerable Australian stock. Pastor lived in New Zealand and was exposed to a wide array of brands and stores that she'd never encountered in Toronto, and was inspired to bring them back. She cites One Teaspoon, which can be found in several other Toronto stores, but adds that their mandate is to constantly unearth new brands. Now, they also carry brands from L.A., and local Toronto designers. Pastor describes the shop's style as "feminine, but not sickly sweet." Browsing through the stock, I'll add that they have a penchant for leather detailing, cutouts, boho fringe, and luxe fabrics. 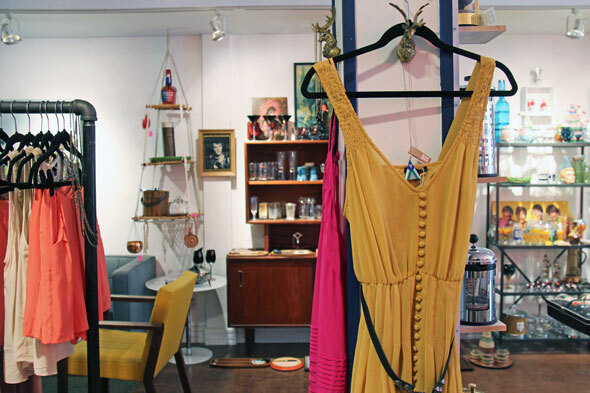 The shop is an antithesis to some neighbouring fashion boutiques such as Ruins and Oliver Spencer --as much for its aesthetic as its price point. One of the shop's biggest draws is its emphasis on affordability--everything in the store ranges in price from $20 to $200, with accessories coming in under $100. 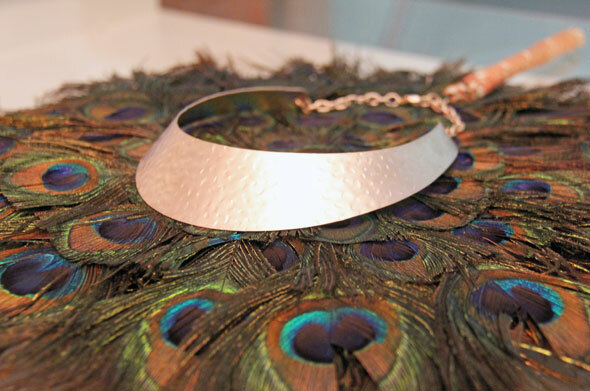 While this requires them to steer clear of bigger names such as Sass and Bide , their collection demonstrates a good eye for standout pieces that are kind on wallets while maintaining quality. On the hangers are hard and soft looks from Ladakh ; cutout and bohemian pieces from Pink Stitch ; Toronto-based designer Sarah D'Onofrio ; and the tailored looks of Bardot . Pastor raves about the softness of Brandy Melville fabrics, and it's true--they're utterly seductive. Fitzroy is also the exclusive Toronto retailer of brands such as Australia's Blesse'd are the Meek and L.A.-based Show Me Your MuMu . In terms of accessories, you'll find tote bags from Fieldguided and a modest selection of jewellery, including Psalms 91:1 and its sister-line Shop for Jayu . 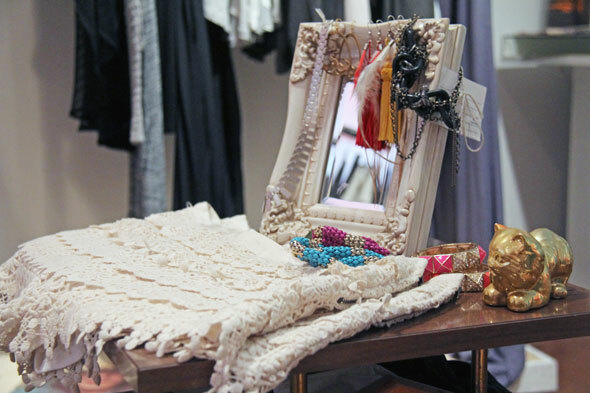 Despite the low prices, the stock shouldn't be mistaken for fast fashion. The shop epitomizes a beach-to-city wearability that's perfect for the hot summer we've been having, but any reservations I had about how it might translate into the winter months were put to rest as I browsed the fall collection--think relaxed silhouettes in rich colours. What's next for Fitzroy? They're happy with their new location--which, it has to be said, has more stock than spaces twice its size--and have just launched their online boutique. They're also in the throes of a massive sale (discounting already low prices by an additional 30% or so), and their fall stock will include knitwear, moody hues, and coats.